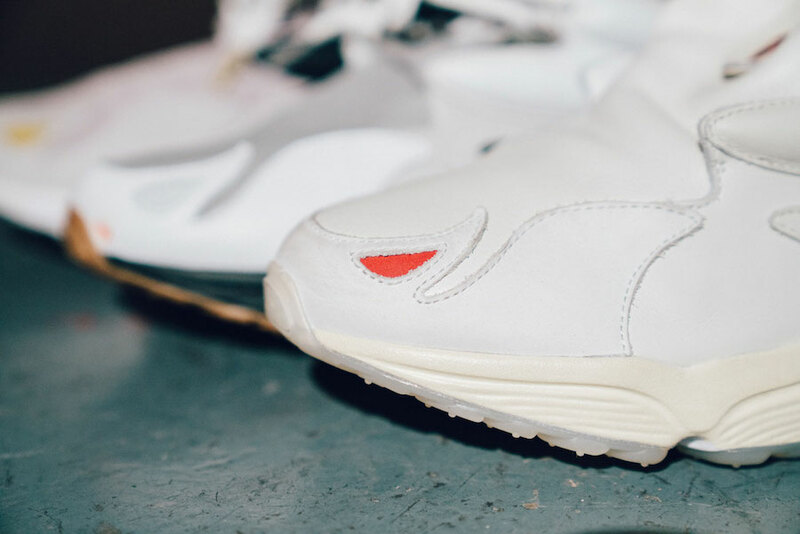 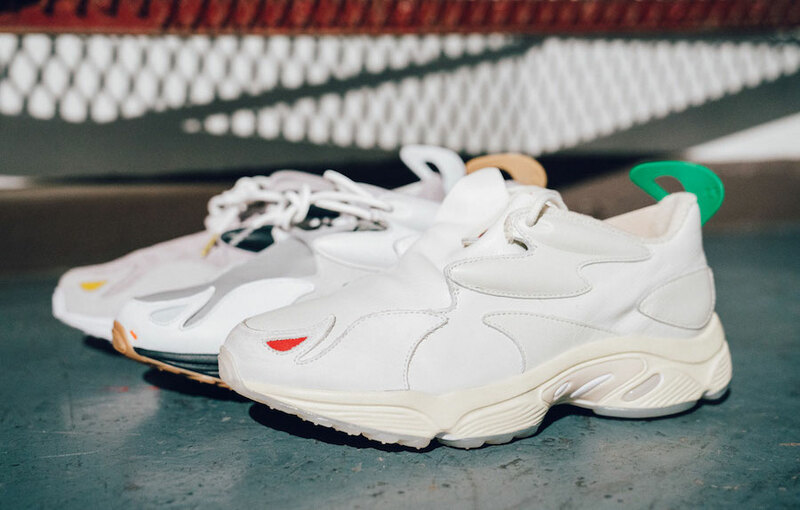 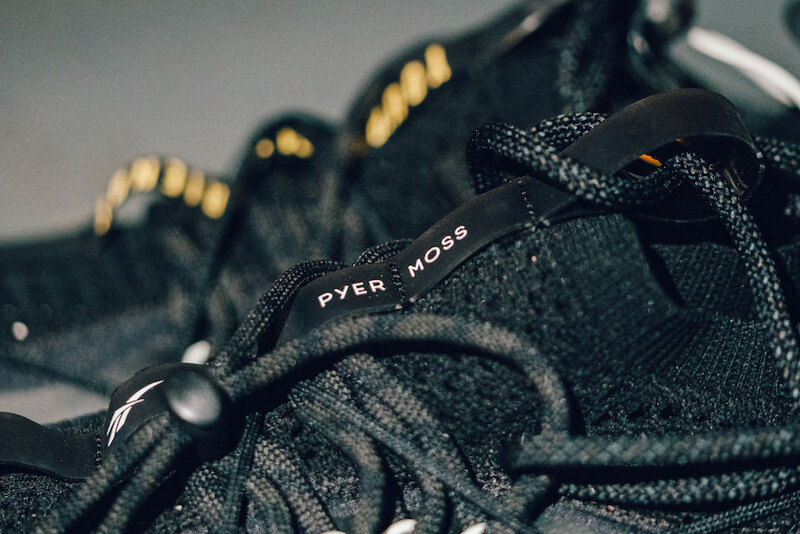 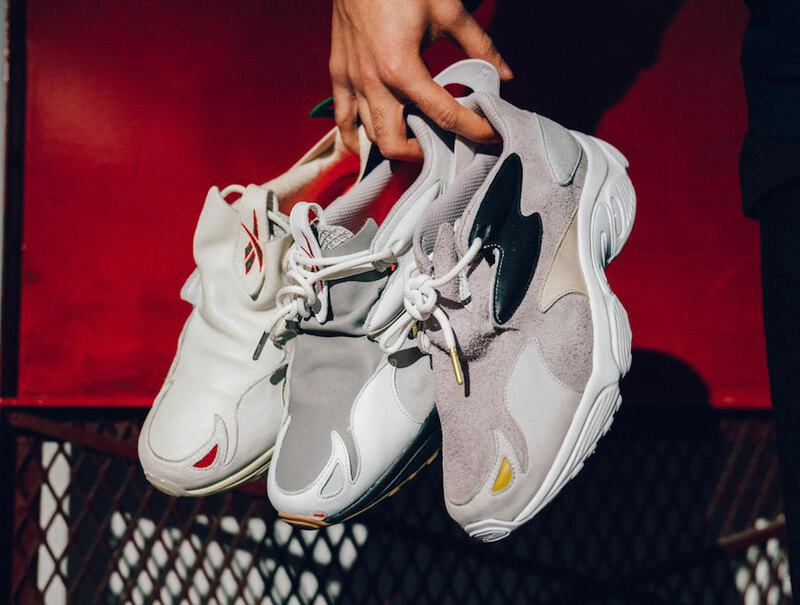 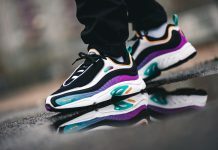 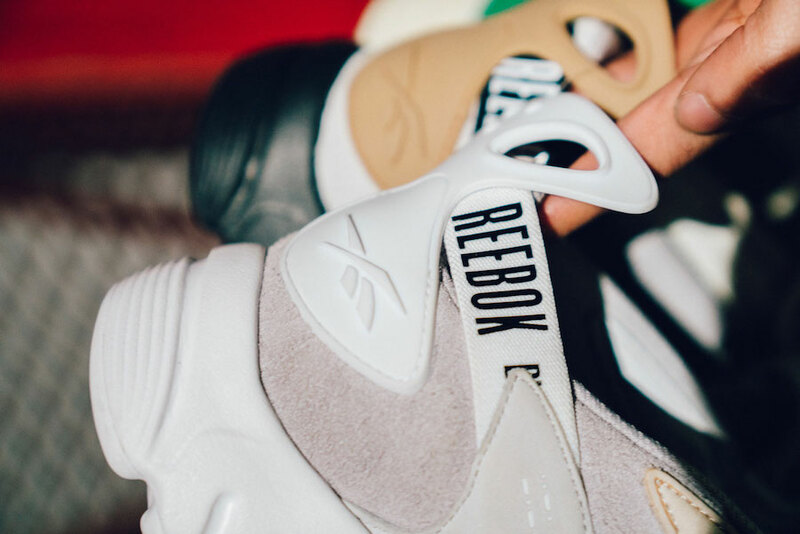 New York-based fashion label, Pyer Moss revealed their latest Reebok DMX Fusion Pyer Moss collaboration that consisted of multiple silhouettes. 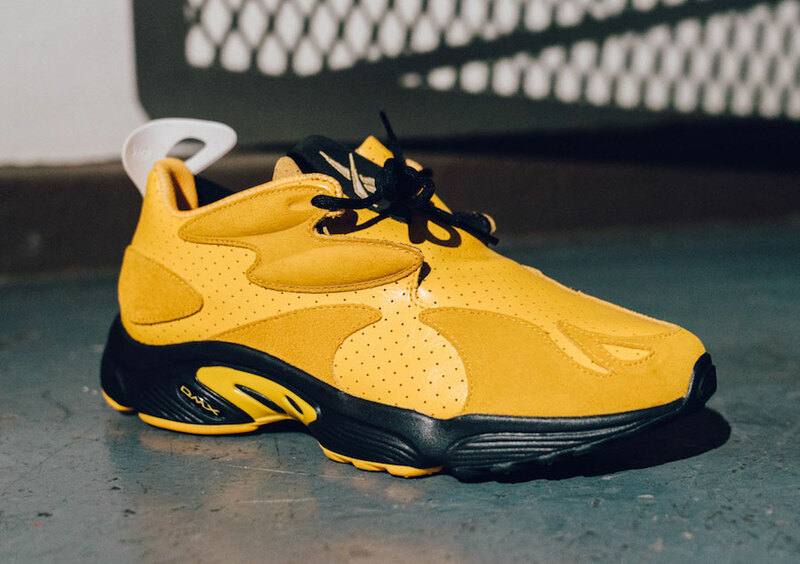 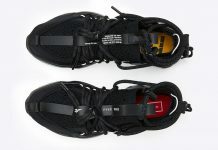 Shown below are few of the color ways of the DMX Fusion Pyer, a trio of light-colored silhouettes varying in materials and accents along with a second silhouette highlighted in a Yellow/Black color option, and a full black silhouette with a unique lacing system. 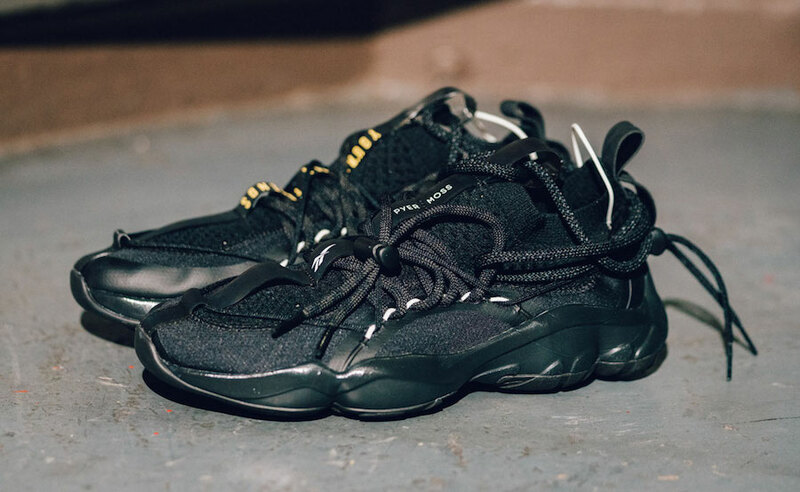 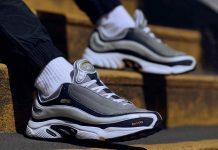 No official release information has been provided, but the original Reebok DMX Fusion Pyer Moss is expected to debut later this Fall 2018.